Travelers are voting Jehangir Art Gallery, National Gallery of Modern Art and The Arts Trust Gallery as the best of 3 galleries in Mumbai. There is 1 gallery in Surat a city just 293 km from Mumbai. The most popular of these is Science Centre Surat in Surat. 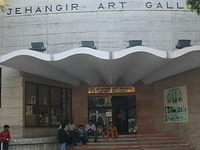 You can find 3 galleries in Maharashtra and 31 galleries in the country of India. 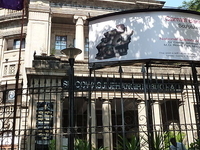 Our members favorite in Maharashtra is National Gallery of Modern Art and Jehangir Art Gallery is the top pick in India. Want more? Check out our map of galleries in Mumbai.